The Kiwanis Club of Courtenay has served the Comox Valley since 1949, and has a long record of supporting and helping people of all ages in our local community as well as supporting Kiwanis International goals and initiatives. In addition to programs for children and developmentally challenged, the Club operates 64 rental housing units for low income seniors at our Pidcock Avenue complex. 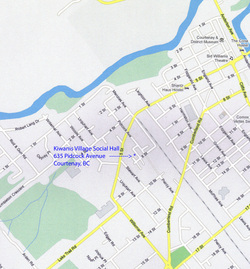 The Kiwanis Club of Courtenay meets every Thursday at 1900 in the Kiwanis Village Social Hall at 635 Pidcock Avenue. Dessert and coffee is provided. Speakers on various subjects of interest are often present at our meetings. 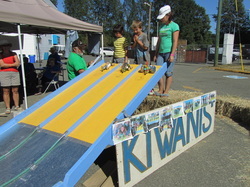 Among the many projects that the Club supports are full funding for the annual Operation Highjump (track & field events day for developmentally challenged), operation of the popular zucchini races at the Comox Valley Exhibition, bursaries to graduating HS students to further their education, school supplies for needy children in Comox Valley Elementary Schools, pediatric equipment for the hospital, and so on, for a total of about $30,000 in the current Kiwanis year. 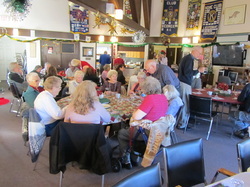 Funds are raised through Club projects as well as using gaming grants from the BC Lottery Commission. 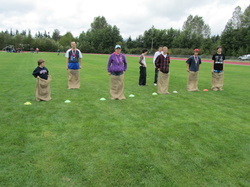 Operation Highjump - Managed by Comox Recreation Centre, fully funded by the Kiwanis Club of Courtenay, and supported with many Kiwanis Club volunteers. 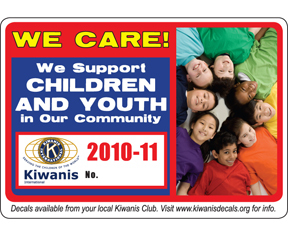 Interested in learning more about the Kiwanis Club of Courtenay, BC, or have a question or comment?